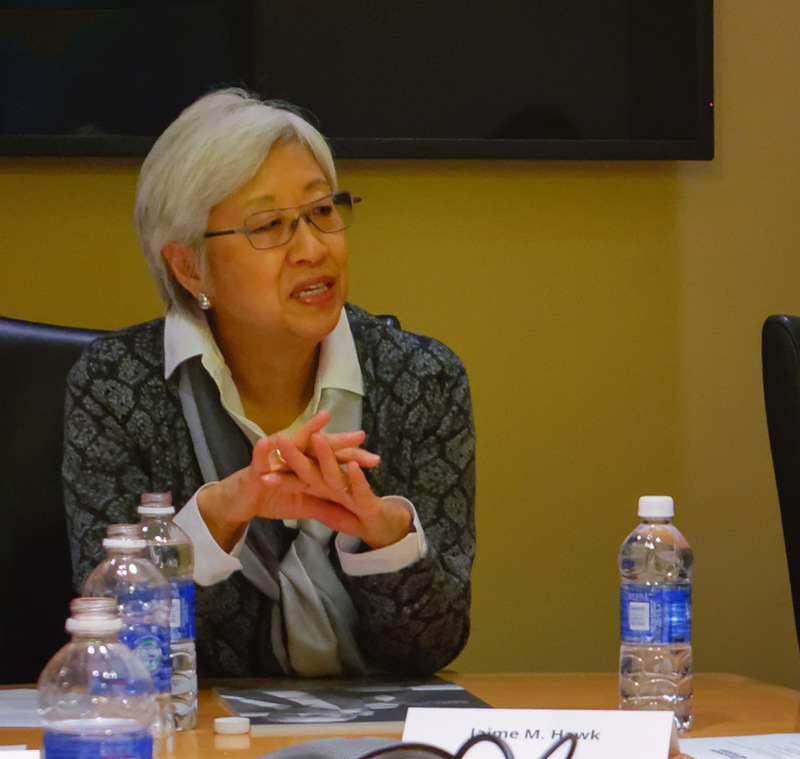 The Jackson Leadership Fellows 2016 Class was fortunate to have an informal discussion with long-time Seattle community leader, Martha Choe, last week. Martha has held a remarkable and diverse list of jobs– from serving on the Seattle City Council, where she chaired the Transportation Committee and the Finance Committee – to her role as Chief Administrative Officer of the Bill & Melinda Gates Foundation. 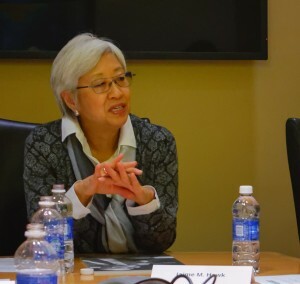 Her career also encompassed the private banking sector and a position as Director of the Washington State Department of Community, Trade and Economic Development in Governor Gary Locke’s cabinet. Our Fellows were eager to hear her thoughts about her approach to leadership and what she’s learned from her many challenges along the road of her career. Martha made a few key points to the Fellows: first, she said “It’s not about you.” She explained: “You need to create the ownership of ideas among your team members, and know how and when to get in front of an idea, and when to let others shine.” Second, she stressed the importance of candor and vulnerability, noting that it was okay to admit “I don’t know” and indicate that you will start asking the right questions to find out the answers. Listen to your audience, she counseled, and face up to your weaknesses. “Vulnerability can convey empowerment.” She also spoke about the need and often “the courage to make unpopular decisions.” This is part of a good leader’s responsibility, she reminded the Fellows. Over the course of her career in different sectors of our community, Martha said she came to realize that “leadership involves people, not just org charts and boxes.” Gaining an understanding of the needs of the people around you – and whom you are managing– will make you a better leader.